Booksellers everywhere have had the release date of Dan Brown’s latest novel The Lost Symbol circled on their calendars for months. Not since the last Harry Potter book appeared in 2007 has the publishing industry been as sure of a hit as it was with this book, the followup to the phenomenally successful The Da Vinci Code, which racked up paperback sales of over 80 million. Released last Tuesday, The Lost Symbol had sold over one million copies for publishers Bantam Press by the end of the day, while the online bookseller Transworld said it had sold more copies of the book in its first 36 hours of release than any other hardback ever published. 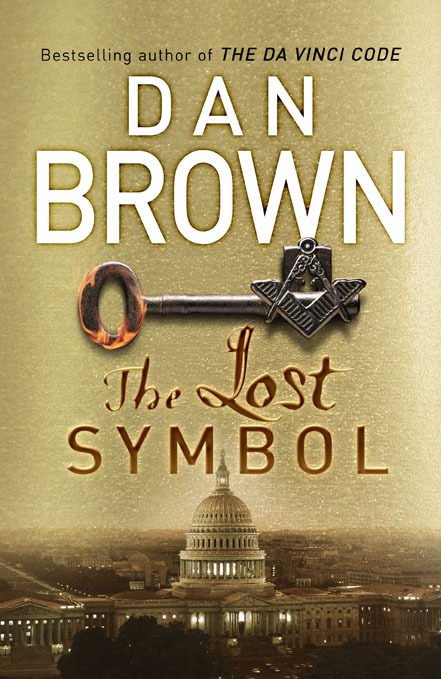 The good news for fans who have yet to get their hands on a copy is that, with his third Robert Langdon outing, Brown hasn’t drifted far from the formula that made The Da Vinci Code such a huge international hit. Harvard academic Langdon’s specialist interest in symbology enables him to reprise his role as publishing’s most unlikely action hero. Where the Catholic Church and Opus Dei were the focus of the conspiracy theories in The Da Vinci Code, this time around freemasonry comes in for Brown’s scrutiny. Summoned at the last minute to Washington to give a lecture by his friend and mentor Peter Solomon, Langdon finds he’s been the victim of a hoax and there is no lecture. Solomon has gone missing, and his severed right hand has been found on the floor of the national statuary hall in the Capitol Building. Solomon is a prominent mason, and his hand has been tattooed with mystical symbols and then positioned specifically to communicate a message to Langdon using an obscure reference only he would know. Under pressure from both the CIA and Solomon’s kidnapper, Langdon must find a supposedly legendary Masonic portal that acts as a repository for a body of ancient knowledge that can confer mystical powers on practitioners. In a plot that seems like it could have been written for a computer game, Langdon must dash from point to point in Washington, solving puzzles and delivering mini-lectures along the way about the city’s Masonic founders and hidden symbolic references. Along for the ride is the kidnap victim’s sister, Dr Katherine Solomon , a specialist in the obscure study of noetic science, which deals with mind-body connections and the nature of human consciousness. Meanwhile, a variety of civil servants and state officials get in Langdon’s way, as the clock ticks and time runs out for Peter Solomon. Brown specialises in rip roaring plots that jump quickly from scene to scene, and this novel is no exception. The story takes place over a 12-hour period, and is written with the kind of pacing that helps communicate the panic and rush of the protagonists. Unfortunately the pace of the story doesn’t leave much time or space for anything as trivial as character development, but then that’s probably not the point of a book like this. Brown is well versed in working with the particular formula he favours, so expect lots of cheesy, cliché-ridden dialogue, interspersed with extensive explanations of cutting edge science and ancient history. There are some interesting twists and turns along the way, but the final resolution of the story is surprisingly predictable. By no objective measure can books like The Lost Symbol or The Da Vinci Code be described as particularly well written, and once again Brown has come up with some improbable plotting, shallow character drawing and illogical story twists. But to dismiss The Lost Symbol out of hand would be a mistake, because a vast chunk of the book-buying public isn’t all that interested in literary criticism – they care about fast-paced, easy to read thrillers laced with an exciting streak of conspiracy and intrigue. The average Lost Symbol reader is looking for a book that will make their train journey home go that bit quicker, or help a few hours by the pool slip by pleasurably. And for them, Brown has produced a fun read that, as long as it’s not taken too seriously, delivers exactly what was expected.